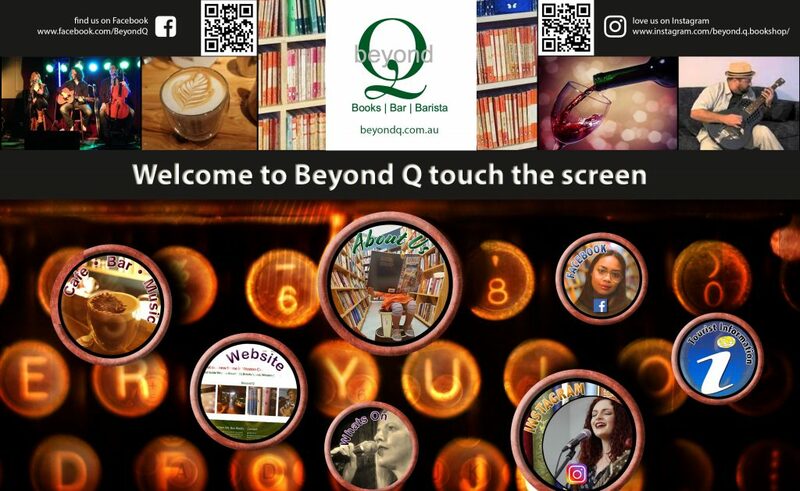 On the other side of town, Beyond Q Books, Canberra’s longest running second hand bookstore, bar and cafe, a long time client decided to also host a touchscreen spending only a fraction more than their national slideshow promotion. Again using the screen Simon and Jenny can profile the live music in the store, and the fantastic unique relaxing space they have created. 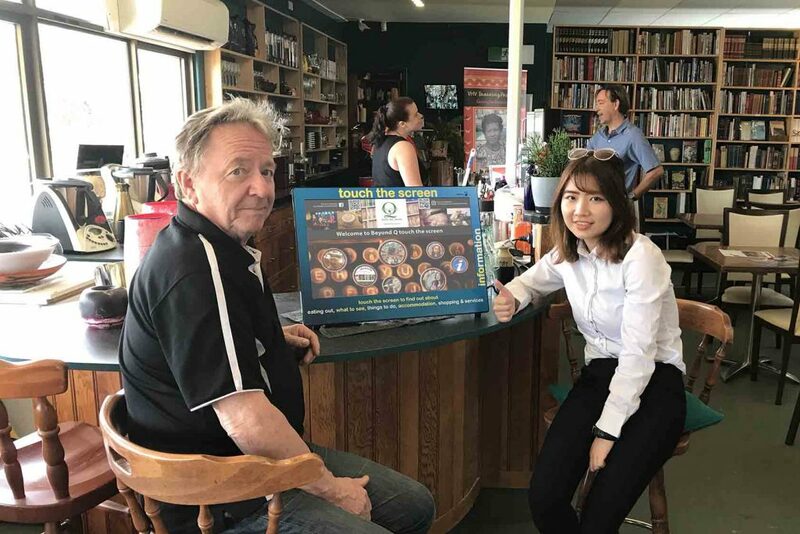 Of course you would “like” them after picking up an antiquarian or special interest book and a lovely time in the cafe or bar.